Looking for Air Optix contacts? 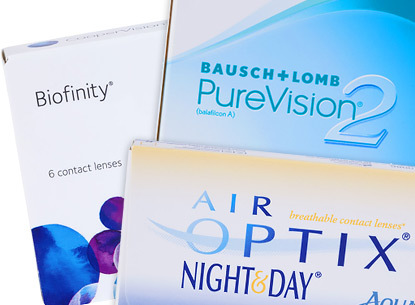 Shop our wide selection from Air Optix including: Air Optix Aqua, Air Optix for Astigmatism, Air Optix Aqua Multifocal, Air Optix Aqua Night & Day, Air Optix Colors, Air Optix Plus Hydraglyde and more! 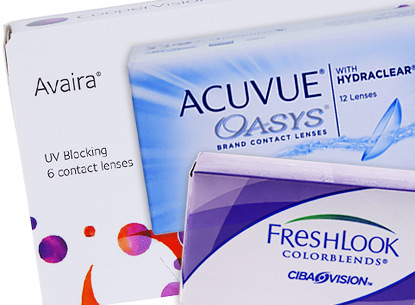 AIR OPTIX contact lenses by CIBA Vision enhance your contact lens experience by providing clear vision and consistent comfort. 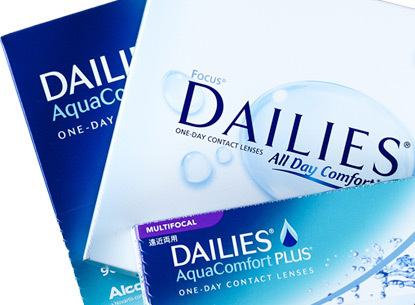 These lenses combine a flexible schedule and make these either daily, weekly or monthly replacements easy to clean and manage. 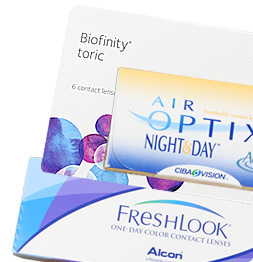 AIR OPTIX® contacts are designed with a unique ultra-smooth surface technology that creates a protective layer of moisture at the surface to make the lenses stay moist all day long. Their advanced lens material allows for up to 5X more oxygen through the lens than traditional soft contacts. 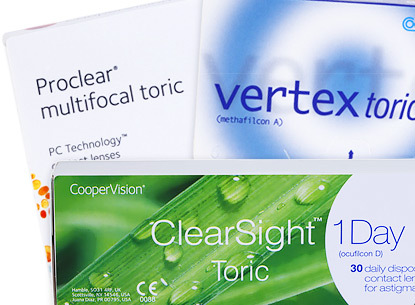 Lens Direct provides Air Optix lenses at affordable prices, reviews per each product and an easy fill out prescription form. To order, select your prescribed brand from the list above.